A beautiful matching two piece necklace set. 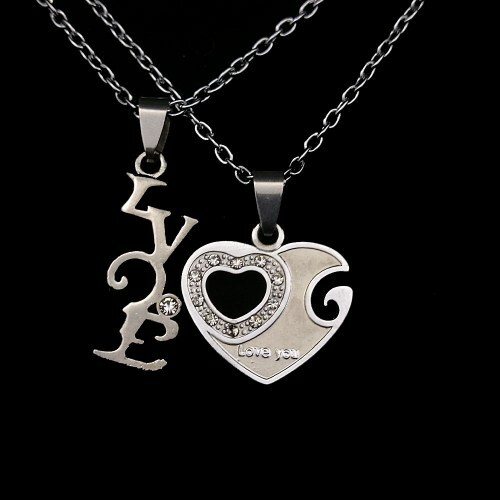 A beautiful 2 piece necklace set that includes a love necklace and a heart necklace with the inscription `Love You` engraved on it. Both pendants are supported by a strong silver chain and when together they interlock with each other. A perfect accessory for all those loved up couples.